If you know me, you'll know that I'm pretty obsessed with all things miniature. One of my favourite things about going away on holiday is stocking up on mini beauty products before I go and if I see any of my favourite things be it beauty products or even food in mini form, I usually have to buy them. They're just too cute to resist! 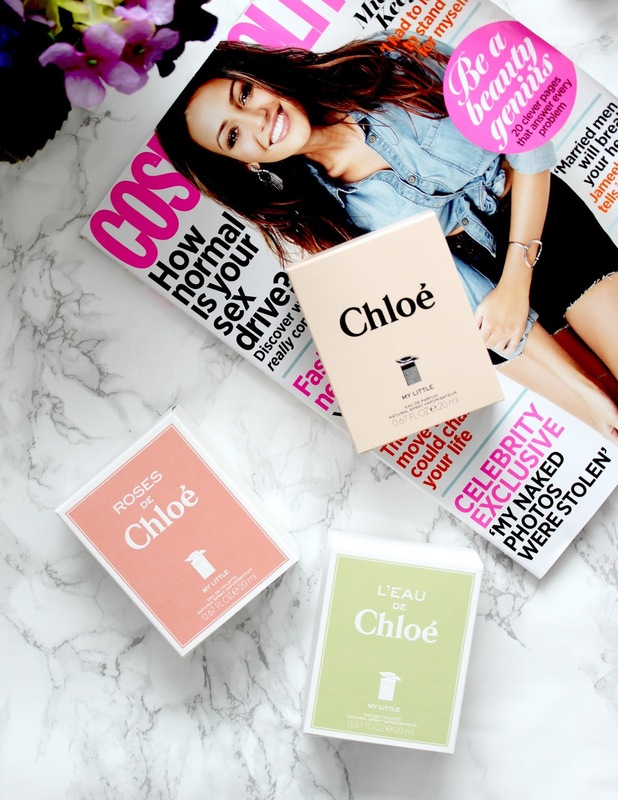 With this being said, you can imagine my excitement when a press release landed in my inbox informing me that Chloe were releasing 'My Little Chloes' aka the cutest mini bottles of perfume you've ever seen! There's three of Chloes bestselling scents available to buy in this new adorable 20ml size including the original Chloe scent, Chloe Roses de Chloe and L'Eau de Chloe. I already own the full size original Chloe and absolutely love it - its such a fresh and feminine scent that's easy to wear both day and night. The other two fragrances are new to me but again, they're beautiful. I may have even found a new favourite in the Rose de Chloe! I'm useless at describing scents so I won't even try - just take my word for it that they smell bloomin lovely! 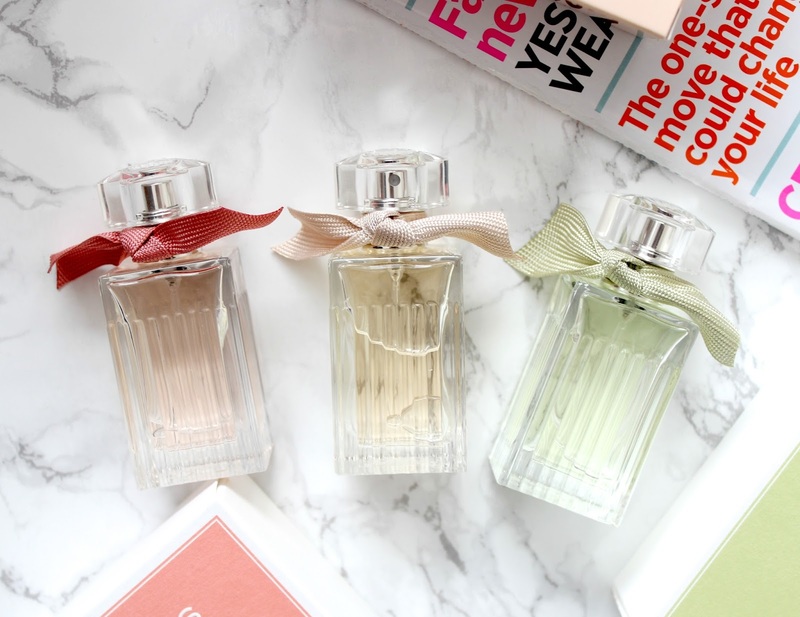 As you can see from my photos, the packaging of these perfumes has been designed in the same way as the originals and I just love the cute little bows around the neck of each bottle. They look so pretty displayed on my dressing table! Another reason I love them SO much is because they're perfect for travelling or popping into a clutch bag for a night out. I'm definitely going to take one of these bottles with me to Greece next month as they're so lightweight and small enough to pop in my handbag so I can freshen up on the plane. I also can't wait to take them on a night out - I always want to take out perfumes out with me but have never had any small enough to pop in a clutch bag. Problem solved! I also think these perfumes are a brilliant way to 'try before you buy' as they're obviously much cheaper than a full size bottle but will still last a couple of months with daily wear. They're great for people who want to wear a designer scent but don'st like splashing too much cash and I think they'd make the perfect gift for any lady - I mean come on, who wouldn't love these? If you want to get your hands on them, they're available to buy here from Debenhams with 10% off. 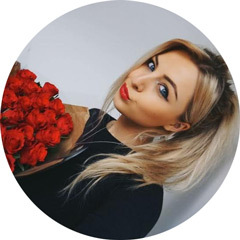 Are you just as besotted with these cute little Chloes as I am? These perfume bottles are lovely :) I need to try these ! These are so cute - I need them on my dressing table!! I'm obsessed with miniature things too! Little bottles are the cutest! These are so sweet. Little bottles of perfume are so handy. Theres nothing worse than travelling or carrying around a large bottle of perfume! These are the cutest little bottles! These are just the cutest thing ever, I adore the packaging! Those little bottles are so cute! These are just the cutest things, worth it purely for the packaging! Naww these perfumes look so cute! They look really cute, sure they smell incredible! 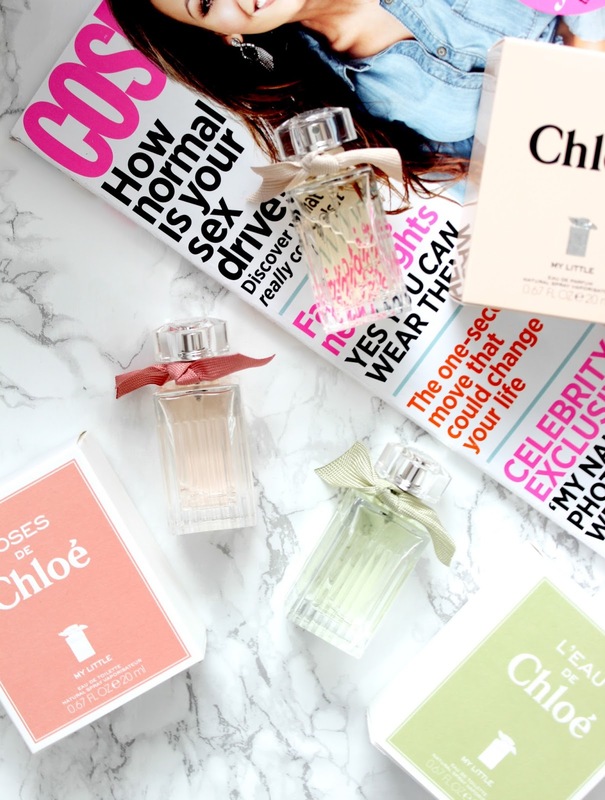 I love these little Chloe perfumes they are so cute and perfect to pop in your handbag. These are so pretty and I love mini perfumes as well also these sound like they smell pretty good. These are such cute little bottles and the Chloe scents are amazing! Beautiful picked and i love a mini perfume too.